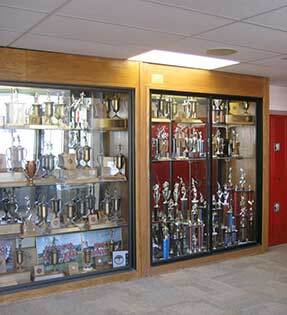 MUHS has an excellent and diversified program appealing to the interests of its athletes at varying levels. Our Marauders train to win by strengthening mind and body through rigorous practicing while learning self-discipline, sportsmanship, and team camaraderie. Mingus High students may participate in the following programs. For your convenience, you may also select the links below to view current team schedules and coaching information. We require all student athletes to register online, complete the concussion course (one-time), and submit to an annual physical exam performed by a medical doctor. MUHS will be accepting registrations for 2018-2019 starting on May 1, 2018. Not every student will make the team. Athletes selected as team members carry the responsibility of giving their best to the team and positively representing our school. We believe sports are an important part of the high school experience; however, our athletes know that academics come first. To maintain participation eligibility, students must demonstrate passing grades in all classes. We verify eligibility with a three-week grade check. It is the student’s responsibility to confirm eligibility. For your convenience, you will find additional athletics information and resources listed in the sections below. We’re Marauders, we’re Marauders, we are here to stay! We’re Marauders all the way! Go Marauders, fight for Mingus, win for Red and Gray! Marauder pride is on our side, we’ll win today!